Often we find ourselves saying "I wish it had...." or "Why didn't they ...." We all have our own thoughts on what makes a great instrument, so why not let your individual ideas and dreams become a reality, whether it be just upgrading parts, a new custom made neck or a complete custom build. Below are a few examples of the custom work I've carried out. 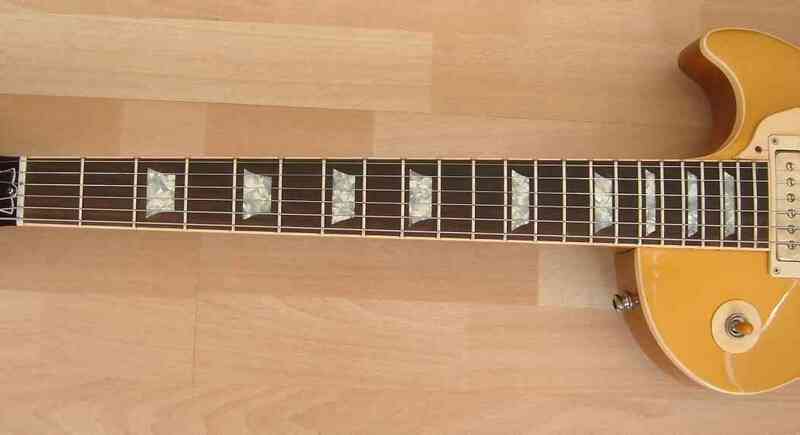 The inlays fitted to this Les Paul Classic are made of a strange swirl pattern plastic, not the Mother Of Toilet-seat celluloid of the original 50's guitars. 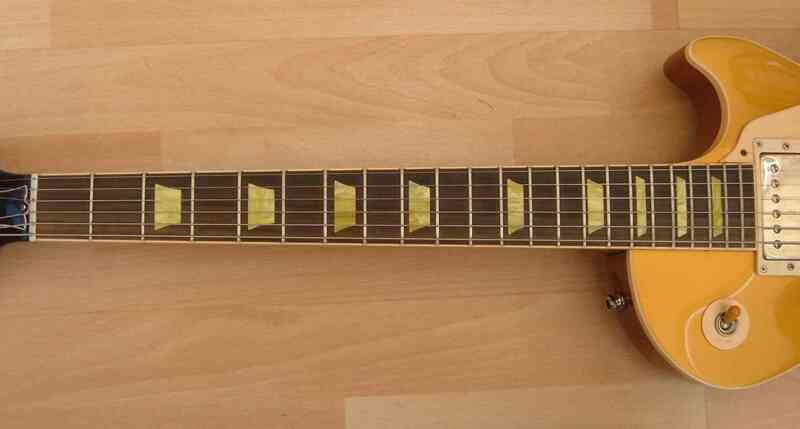 Just about everyone I know who owns a Gibson with these inlays wishes they could change them. Luckily the original plastic is available. Here's the same guitar with new inlays. 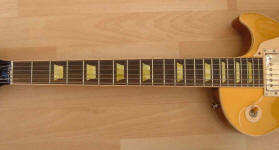 New Strats come with a 22 fret board, the last fret sits on an extension of the fretboard that overhangs the pickguard. 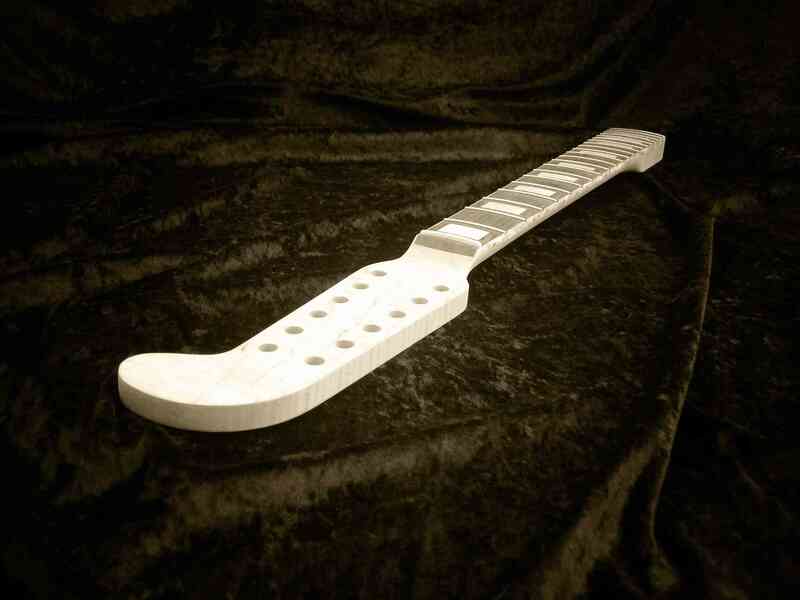 By carefully removing the fretboard piece between the 21st fret and the end of the board of this 21 fret neck and replacing it with a new piece, the extra fret is now available. The photos below show the compensation of a Fender Stratocaster top nut by the addition of a shim on the front wall of the nut. First the guitar is set up and the intonation along the entire neck checked, the amount of compensation for each string is then calculated using small individual shims. A mean average is then obtained and a single shim of tapering dimensions applied. The intonation is then set again, notably less compensation is required at the bridge on a guitar with a compensated nut. 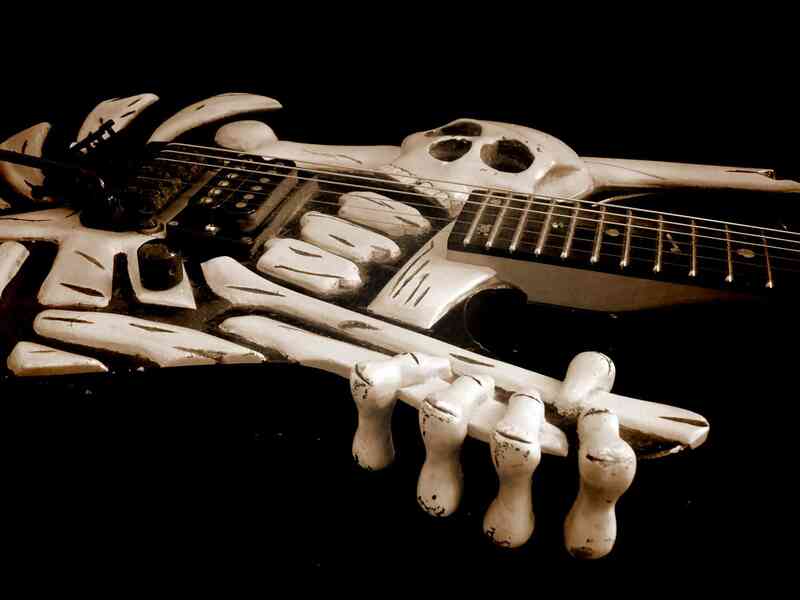 Top nut compensation has become very popular over the last few years, companies such as "Buzz Fieten" and "Earvana" have taken their own slant on the idea and marketed it quite successfully, many big guitar companies are now compensating the nut at the factory. However the idea of adjusting the break point of the string at the nut to fine tune the intonation for the lower frets has been around for many years, Steven Delpht wrote an excellent article for New Zealand Musician magazine which is well worth a read for anyone thinking of going down the nut compensation route. There is also a new website "Set It Up Better" dedicated to explaining the theory of guitar intonation including nut and saddle compensation, it's well worth a look.